Matt Smith and Karen Gillan star as the new Doctor and his companion in an all-new series of Doctor Who. After his explosive regeneration, the Eleventh Doctor awakes to discover his TARDIS is about to crash! After falling from the sky, he pulls himself out of the wreckage to come face-to-face with young Amy Pond. The Doctor promises to take Amy to the stars. But first they must divert an alien plot that could destroy the Earth. The Doctor makes good his promise, and Amy boards the regenerated TARDIS, ready to take to the stars on a series of wild adventures that will change her life. As always, wherever the Doctor goes, his oldest enemies, the Daleks, are never far behind. They are hatching a new master plan from the heart of war-torn London in the 1940s. 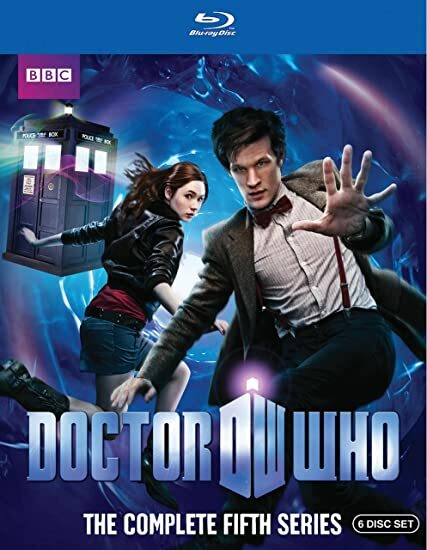 But they are not the only strange creatures the Doctor and Amy must face – there are also alien vampires, humanoid reptiles, the Weeping Angels, and a silent menace that follows Amy and the Doctor around wherever they go.